Miracle, Big Brother Naija 2018 winner who was promised a land and cash gift by Governor Rochas Okorocha of Imo State in a reception held in his honour shortly after the end of the show, received it today at the Peoples House in Owerri, Imo state capital. Rochas Okorocha handed $25,000 (over N9 million) cash to Miracle, in the event in which Mrs Uloma Nwosu made the presentation on behalf of Rochas Foundation. The money is reportedly meant for Miracle’s provisional admission as a student pilot abroad. 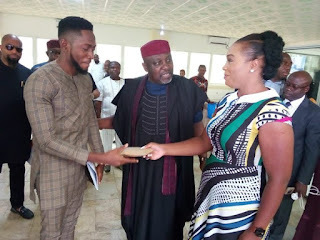 We reported before now that Okorocha also promised to give the Big Brother Naija winner, Miracle a plot of land in any location of his choice to enable him to build his own house. “We are gathered here to welcome our son who has made us proud. 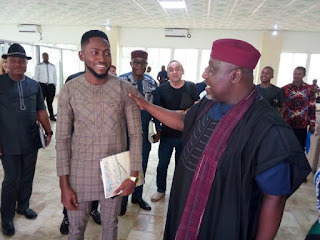 Miracle is our son who went to South Africa for the Big Brother Naija Show. ”He spoke well of his State and was a good ambassador of his State. For this, we thought, it is proper that we receive him”. 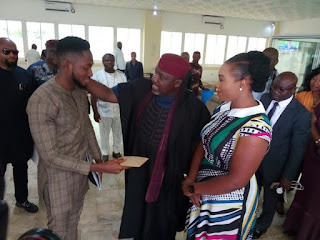 The governor further explained that “Usually, our State does not engage in receiving people for outings they have made unless we consider such an outing one that has positive bearing to the image of the State. 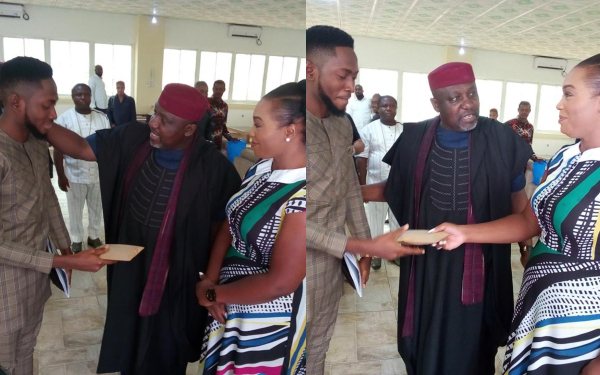 ”One thing outstanding is that these two great participants, Miracle and Nina spoke highly of Imo State. They stood tall and proud of their State, in South Africa. This is the reason for the honor and to say welcome back home”. 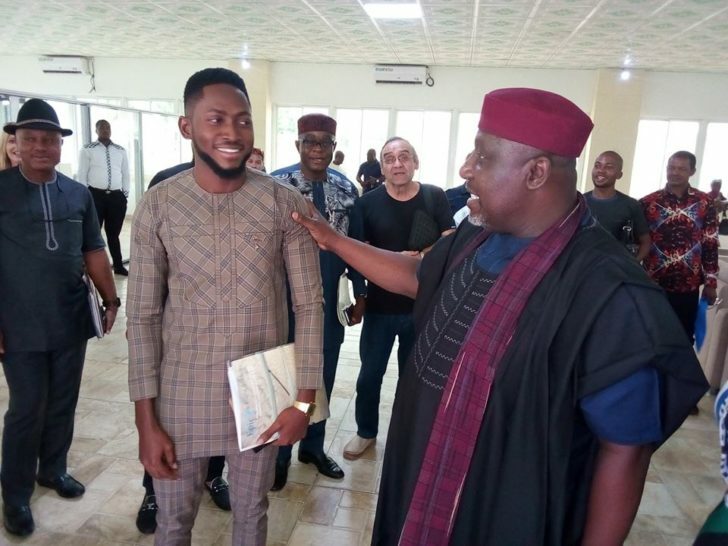 Okorocha who promised to collaborate with Miracle in seeing to the establishment of a pilot School in Imo State, however, advised him to use the fame to propagate the ideas he believes in and never allow it to get into his head and make him proud.